Here is an uncommon find! 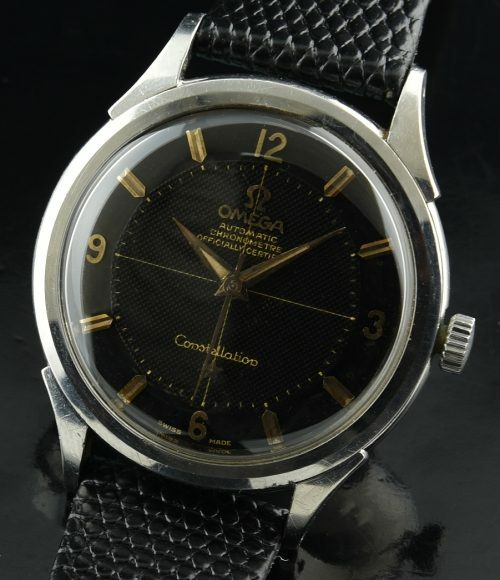 This OMEGA CONSTELLATION was bought from the original owner and still retains the original Dauphine hands and ORIGINAL black pie-pan “honeycomb” patterned dial. I love the original raised gold toned markers and matching hands. This dial looks close to pristine in real life. Those are reflections in the crystal in my photo. Finding black pie-pan original dials is becoming QUITE rare these days. The chronometer grade OMEGA automatic movement sparkles and is accurate after a recent cleaning. 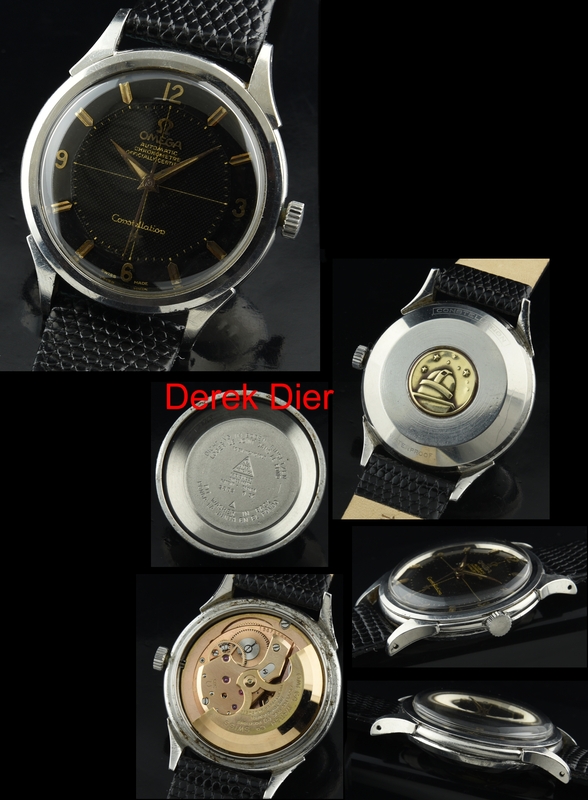 The steel case with gold OMEGA observatory emblem is UNPOLISHED, original and has defined lines on the beveled bezel and clear stars on the case rear emblem. The winding crown is a generic replacement. The hesalite crystal is OMEGA. I would advise you to buy this one FAST!